There are surely many residential door locks on the market, but also many things for you to consider before taking such serious decisions. You must take into consideration some security factors related to the entry point, your needs and the house. Getting locks for the exterior doors or windows and choosing them for internal doors are two completely different matters. That's why the assistance of our company is always important. 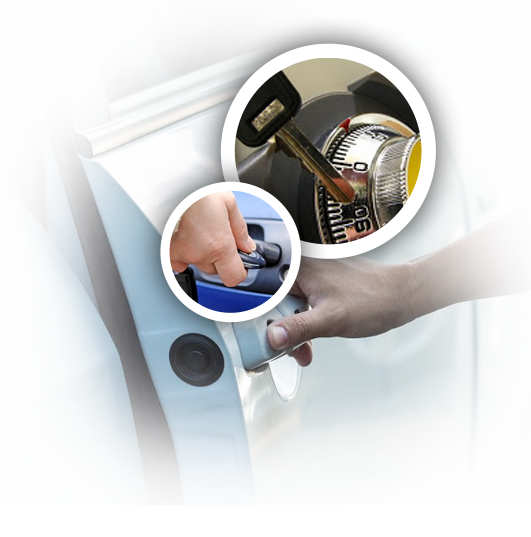 Our team can take the time to explain these essential security features and our help ranges from offering consultation to providing residential locksmith services. If it's time to get new home security door locks, think of your needs and for which door you are interested in changing locks. There are conventional deadbolts on the market, but you could also get digital ones. If there are no restrictions in your local area about double cylinder deadbolt installation, you can get two-side keyed locks or stick with one side keyed ones. There is always the alternative of keypad keyless deadbolts, touchscreen ones or the combination of conventional ones with deadbolts. The choice is always yours but having the professional opinion of one of our technicians is helpful. Regardless of the brand you choose, it's always important to get durable locks. The ANSI (American National Standards Institute) ratings categorize locks in three grades with the first one being the top but mostly for commercial use and suggesting grade 2 or 3 for residential application. If you are interested in exterior doors or walk-in garages, try to opt for the best possible option. If you are interested in cabinet locks, there are other variations ranging from magnetic to flex locks and simple latches. Home security is enhanced when all entry points have the right locks and these will also include windows – even if you reside at the highest floor of an apartment building. Security is reinforced when all locks work correctly and this is where our residential locksmith can be useful. Apart from installing new deadbolts or baby locks in your house, our technicians can help you after break-ins, when the key turns but fails to lock, the cylinder is damaged or the deadbolt is broken. With the capacity to offer fast response lock repair, our mobile team helps clients as soon as possible. The new locks will be installed properly and the existing ones will be fixed when they fail to provide the expected security. Keys can be duplicated, extracted from the lock when they are broken, and new ones can be cut in case your old set is lost. From residential lock rekey to replacements, repairs and installations, our company can help you keep a secure house and your family safe. Contact our team every time you need our assistance.